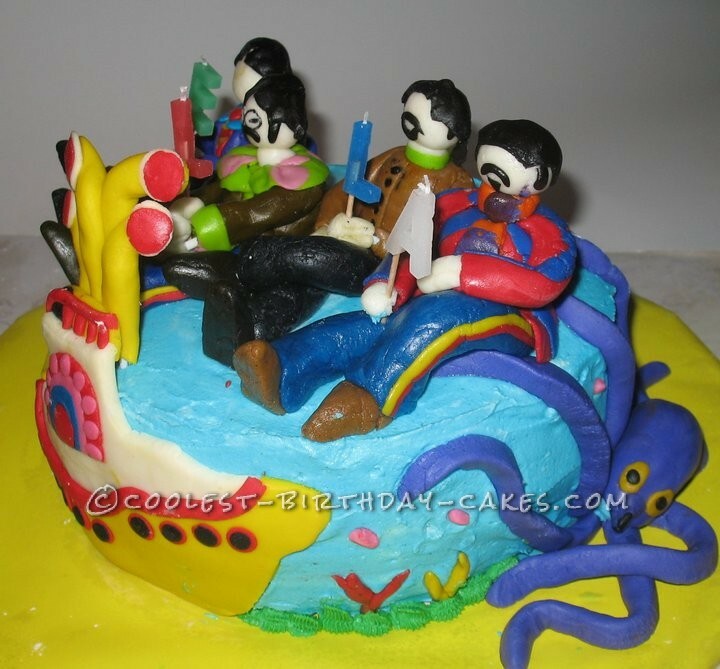 When my daughter was four she discovered the Beatles. When she started school her pre-k year she wanted a Beatles lunch box and backpack. 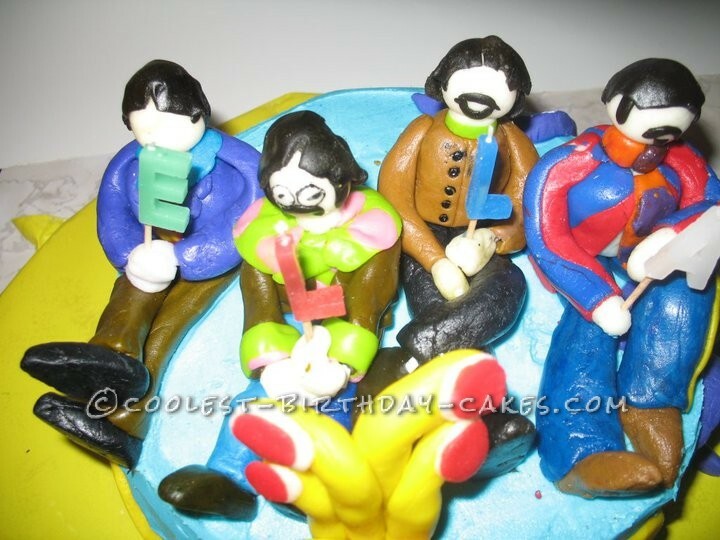 Her room was Beatles.Other little girls played with baby dolls, but she played with homemade Beatles rag dolls. 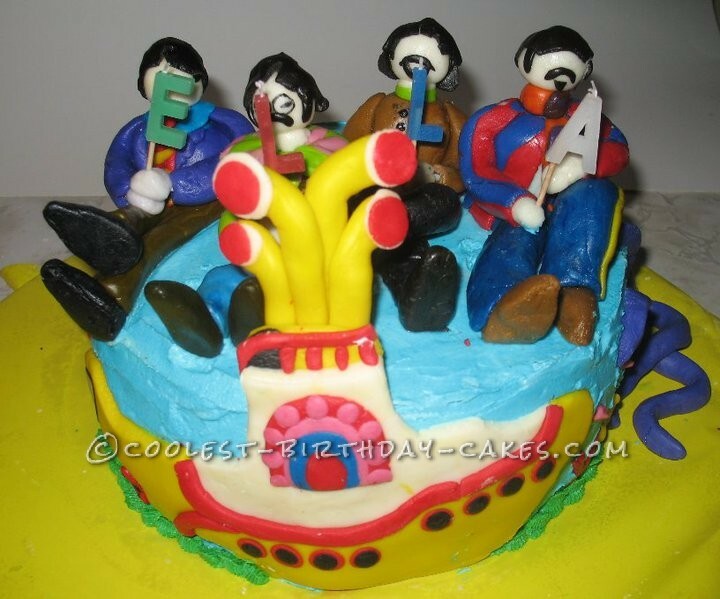 It was no surprise when she asked for a Beatles birthday cake. 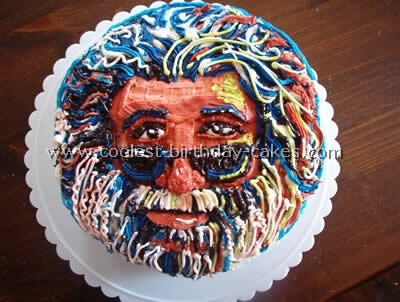 The cake itself is tye dyed which was beautiful when served. I achieved that by simply separating the batter in smaller bowls and dying each a different color. 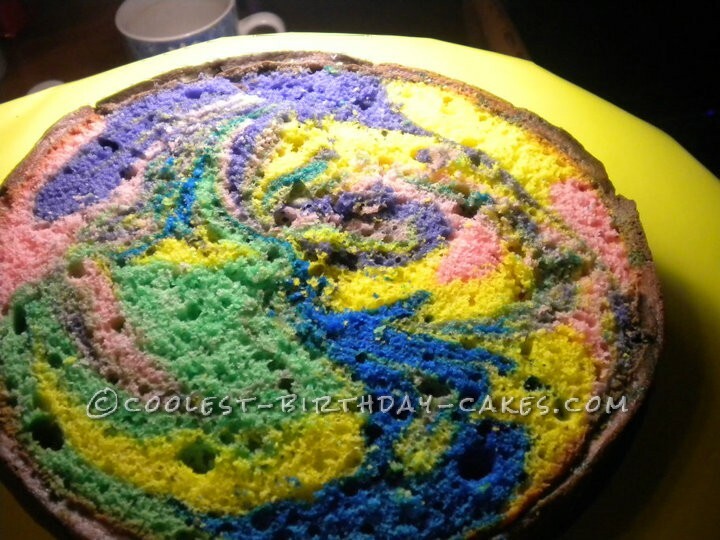 I added a little of each color to the prepared cake pan and gave them a slight swirl to give the tye dye affect. 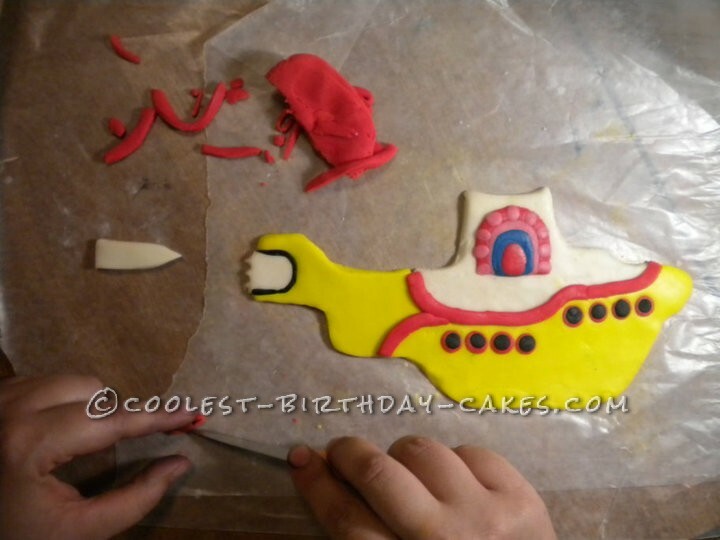 The icing is homemade butter cream and the Beatles and submarine are homemade fondant. 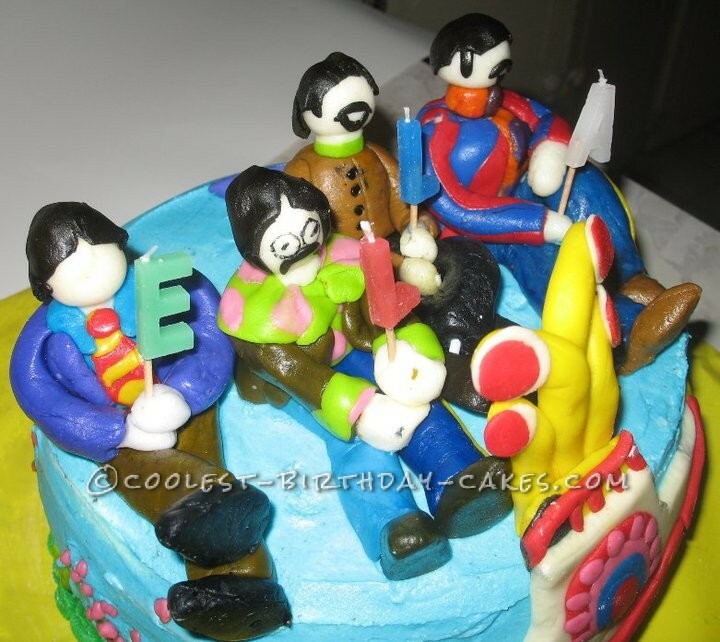 The hardest part of the cake proved to be the Beatles themselves. 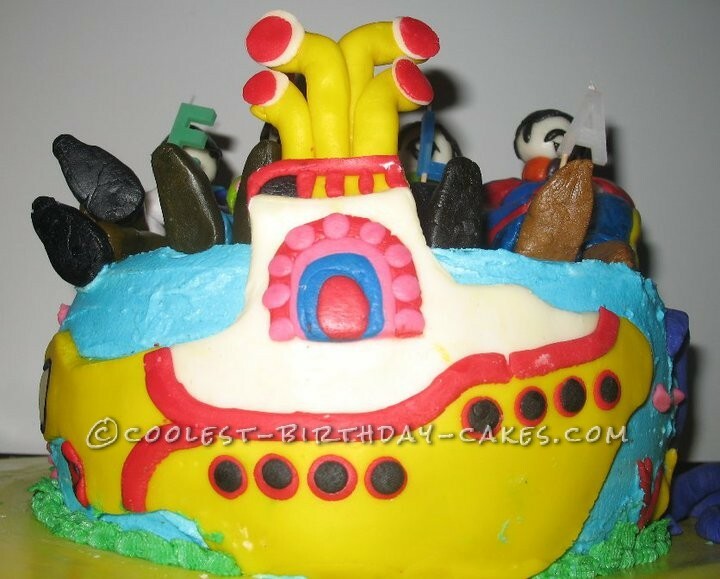 They are completely edible and were very difficult to shape. 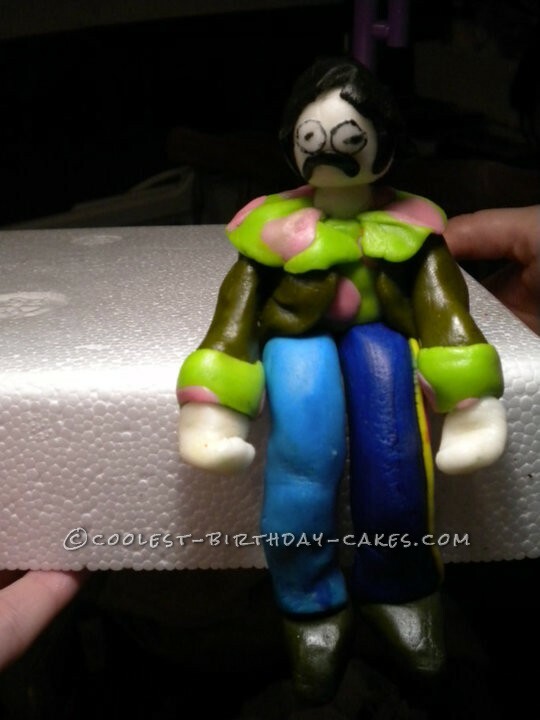 To this day it is still my favorite cake I have made even though I was still new at the fondant. Love it. 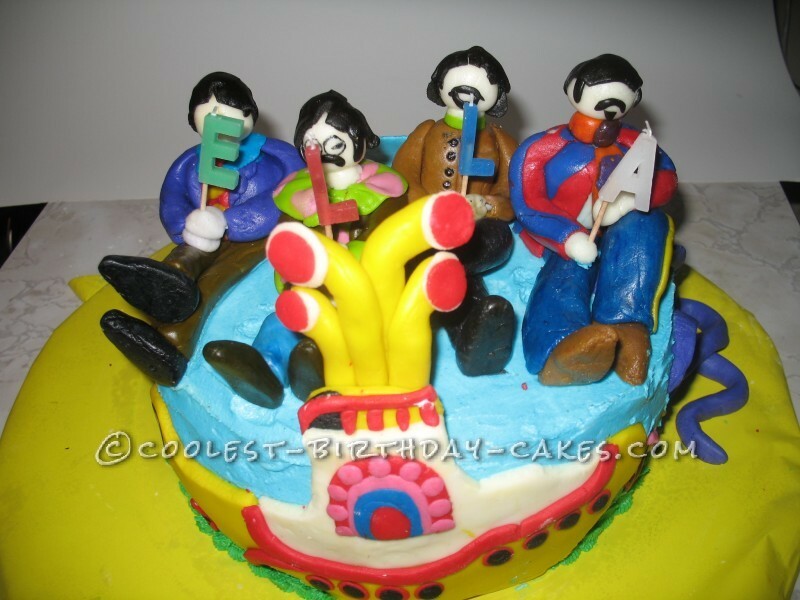 Love that she ditched “barbies” for Beatles, too!